I have a question on how the message from Quran for present day muslims will be extracted. As per the style of Quran, mentioned by Ghamidi saahab, the quran addresses the persons of those days, Mushrikeen and Ahle Kitaab of those days and Momin of those days. If there is a direct command for the maumin of those days, how that command will be taken by present muslims. What law will be for the interpretation of message addressed to addressee of those days for present day muslims. The Quranic text has to be understood in a way that we understand what exactly it really is mentioning. No principle from outside the Quran can be imposed on it for it is the Quran that should decide what it says and not any external source. 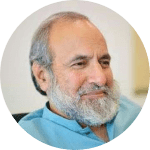 There could be three possibilities in this regard: The entire Quran practically applies to all times; it was applicable to only the immediate addressees; or it was partly applicable to the later times and partly not. The real contest is between the first and the third possibility. The second one is out of the question. 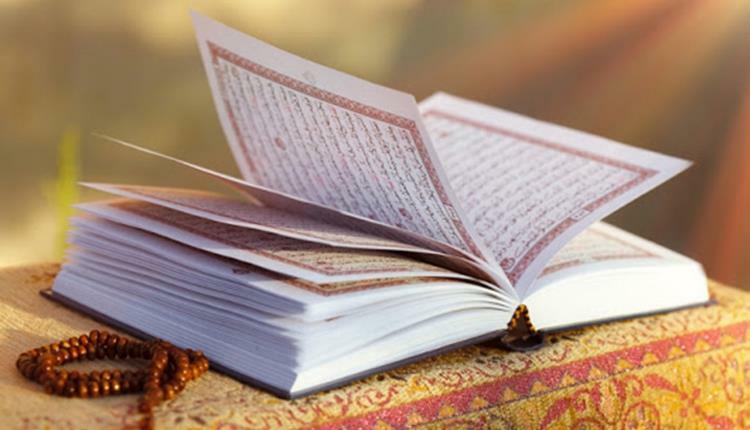 If only one verse can be shown that quite clearly has no application for the present times, the first possibility would also be out of contention because the claim of it is that the entire Quran applies to all times. Although there are many such verses that can be shown to not apply to us, I will present only verse 33: 53 which stipulates that believing men cannot marry wives of the prophet alaihissalam after his demise. The possibility of the applicability of this verse ceased to exist after the last of his wives died. We are therefore left with only one valid possibility, which is the third possibility. I have mentioned the above explanation to let you know that it is not Ghamidi Sahib who makes that claim that some part of the Quran is not practically applicable to later times. This understanding is the only possible way of understanding the Quran. The other possibilities are simply out of the question. When we read the Quran, we look at the context of its verses, the nature of the statement, and its contents too to decide if they apply to us or not. To decide it incorrectly one way or the other is wrong. Applying a verse to the present times which is not meant to be applied is as wrong as to not apply a verse which is applicable. We therefore need to be careful that we don’t commit an error either way. While stating the law of inheritance, the Quran mentions this statement as the rationale behind it: “You don’t know which of you (relatives) is closer to you in benefit.” (4:11) This statement clearly is referring to a rule that is meant for all times. On the other hand, when it says four-fifth of the spoils of war are meant for the soldiers who participated in a battle (8:41), it is not applicable to the present times when armies are given salaries by the state treasury and therefore the clear mention of the Quran is ignored and no one, not even scholars, protests against it. While deciding whether a certain Quranic passage applies to us or not, we will discuss the matter academically, basing our opinion on arguments. Whichever side we take, we won’t accuse the other group of doing something seriously wrong, knowing quite well that the other position is also likely. I hope the I have been able to clarify my point. I do agree and this makes more sense to me and also this approach resolve many issues that present day Muslims are facing. In fact all objections to Islam from islamo-phobes lose ground as well it gives a peace of mind to ordinary Muslim like me that my deen does have the absolutely right and balanced approach to all issues that are important for human life. The only problem is that in this approach, now fixed rules of don’ts and dos are not there, also fixed simplified meaning of Quranic instructions are not there. Every time the broader meaning as broader gauro fikr on quranic verses are required to reach to a conclusion. This some time raises the anxiety whether enough gauro fikr is done and the right approach is taken. 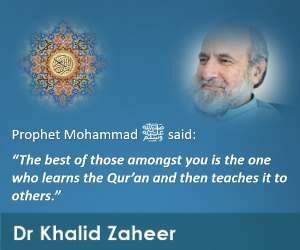 The scary thought linked to above, is the influence of nafs while doing gauro fikr on the meaning of Quran, whether my nafs is influencing my conclusions and taking an easy short cut to by pass the real message of quran to avoid any Qurbani and sacrifices demanded by the Creator of This Universe. With all the consent to this approach the scary thoughts of possibility of taking short cuts by nafs and not completely true to the message of Quran keep coming back, how to resolve this. What I mean is after reading the life of Sahaba and also messenger which is, full of struggle and trials, it always appear to me that I am intentionally interpreting easy ways of following Islam, with this approach, that is always open to new interpretations. Fighting against our nafs and Satan is a part of the trial we have been asked to go through. Let’s not forget, however, that nafs has many aspects. One aspect of it is enticed by Satan towards wrong ways, alluring it towards base desires. Another way it does it is by making nafs arrogantly stubborn. Both ways are wrong and misleading. Let’s not also forget that “God wants ease for you; He doesn’t want difficulty.” The prophet alaihissalam said: “Make things easier for them; don’t make them difficult. Give them good news; don’t scare them away.” It is said about him that whenever two options were given to him, he always used to opt for “aisaruhuma”: the easier of the two. Let’s also not forget that the Quran insists that it is a clear book (al-kitab al-mubin). Our task is not to worry unnecessarily about the possibility that hasn’t occurred. We are expected to understand and follow what is clear to us today. And let’s keep praying that if tomorrow we find a better understanding, we will follow it too. Allahumma arinal haqqa haqqan warzuqnattiba’ahu (God, show us the truth as truth and enable us to follow it) wa arinal baatila baatilan warzuqnajtinabahu (and show us the untruth as untruth and enable us to stay away from it).